I cannot believe that Bert is now 10 months old - the time is flying and he is growing and developing at an alarming rate. Every day his skills are improving, and I don't think it will be too long now before we see him take his first steps... he amazes me. With the recent bout of lovely hot weather we've been having, I decided it was time to start getting Bert used to drinks other than milk (water) in between and with meals. Over the past few weeks I have tried him with a standard tippy cup - but he found it too hard to hold and just seems to bite the hard teat getting nothing out. Then I tried him with an open beaker with handles - what a mess that made, thank god it only contained water!! 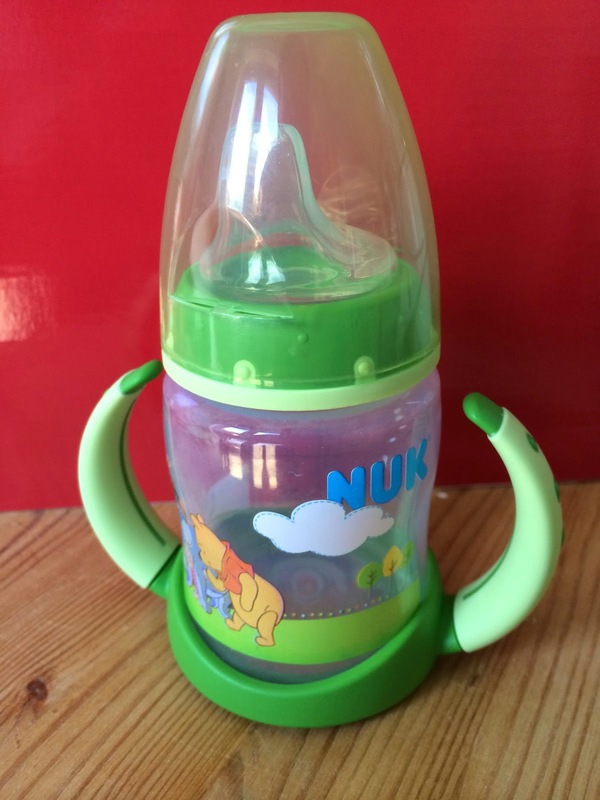 I decided I need something in-between a tippy cup and his current baby bottles, and then I discovered the Winnie the Pooh First Choice 150ml Learner Bottle priced at £5.99 from NUK. They sent one over for us to try out - and we absolutely love it! It is in essence a first drinking cup but it has a soft teat similar to a baby bottle - making it easy for Bert to actually get some drink out of, unlike the tippy cups. The teat is no-spill, which means it won't make a dreadful mess, and it comes with a lid to protect the teat from germs if you're out and about. The cup comes with two handles perfect for chubby little hands to grasp - which excited Bert lots - he's getting to that really independent 'I can do it myself' stage now, so it was lovely to see how easy he found this to hold, he just needs to get to grips with tipping his head back now as he forgets this sometimes. The cup has a 150ml capacity, and is steriliser safe. It has a very sweet Winnie the Pooh design on it, and it is available in green (pictured) or yellow. 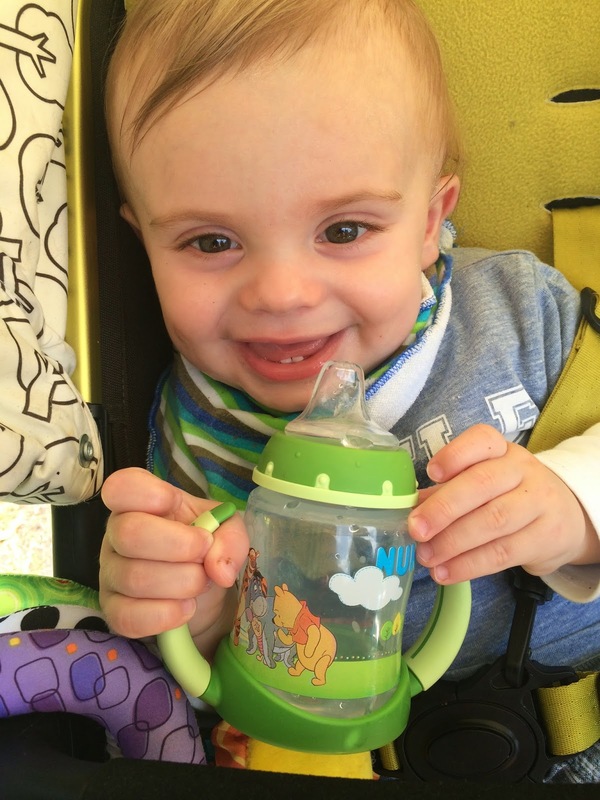 happy to be holding his own drink - what a big boy! 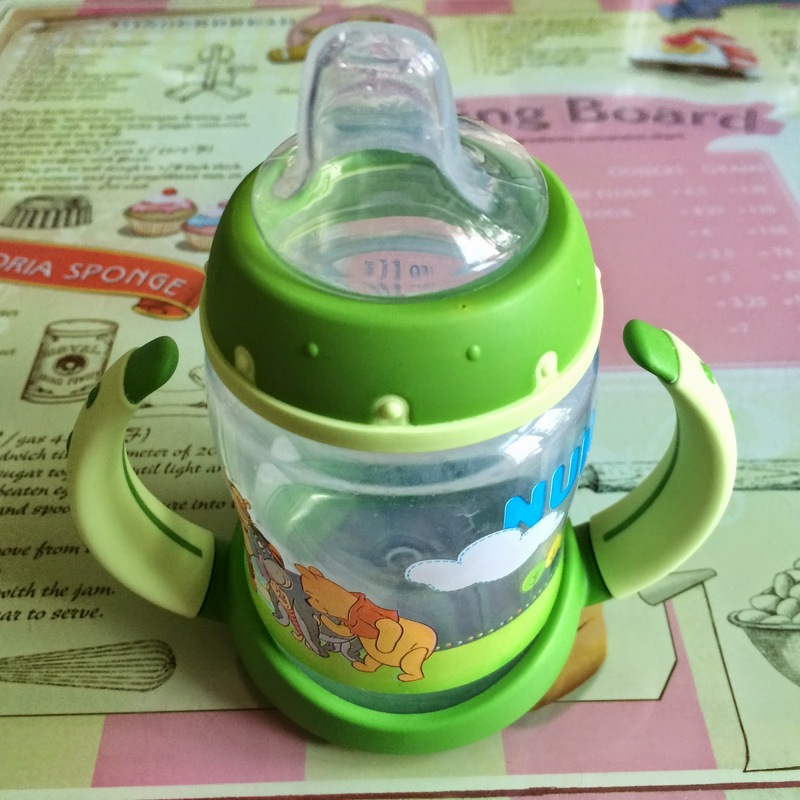 I think this cup is extremely good value for money and would be a great first cup for any little ones over 6 months. Any thing that helps to encourage your baby's independence and that makes life as a mummy easier, wins in my book. 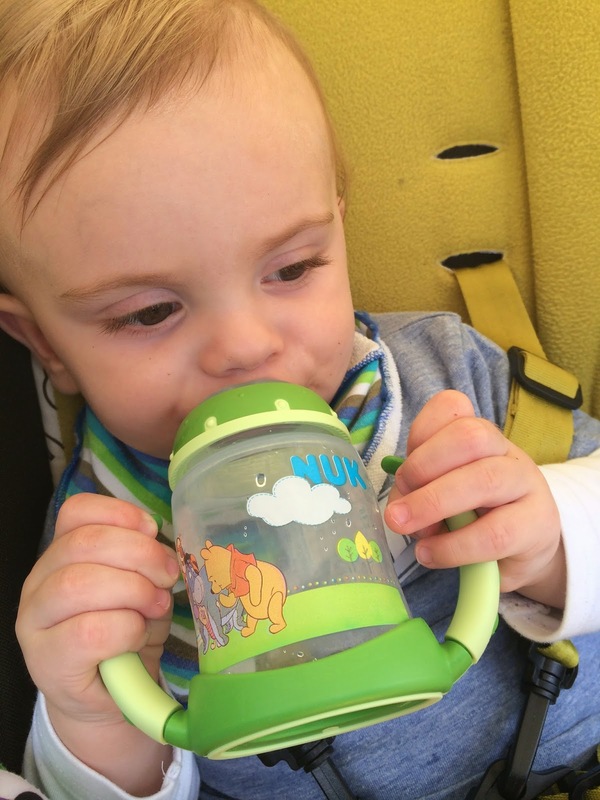 I'm pretty sure Bert will get loads more use out of this cup before he is ready to progress onto the harder to drink out of cups - it will help him get used to holding something heavy, tipping his head back, and swallowing simultaneously, and then he'll be ready for the next stage. It doesn't seem five minutes ago he was a tiny newborn and I was having to feed him tiny drops of milk from a syringe…where does the time go? 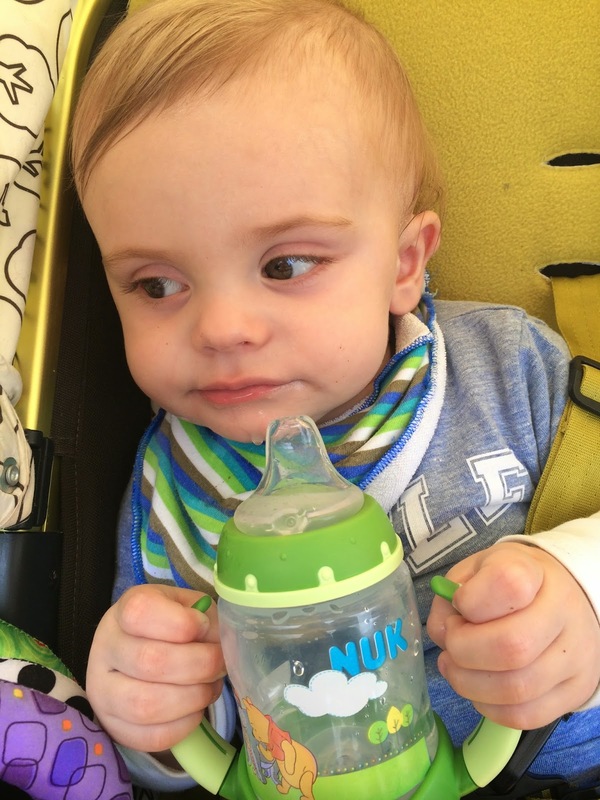 When did your little ones begin drinking from cups? Did you use a tippy style cup, learner cup or were you brave and headed straight for an open beaker? 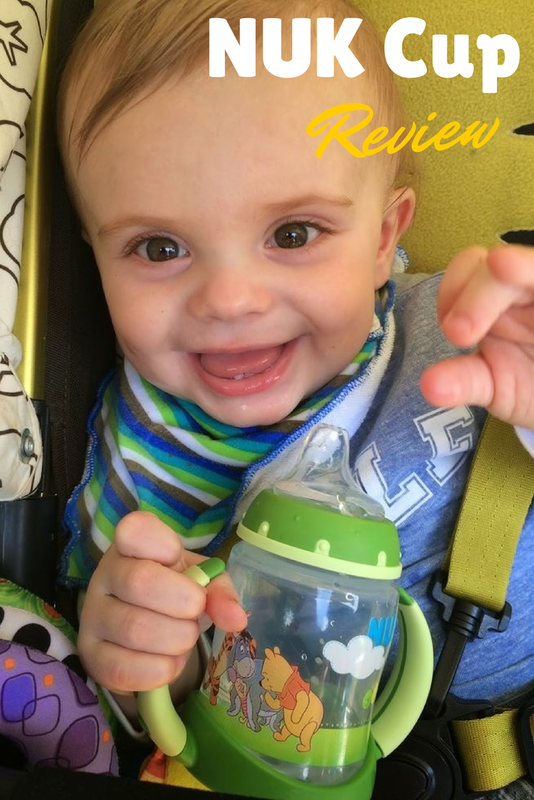 Disclaimer: I was sent a NUK learner bottle for the purpose of this review. All pictures, words and opinions are, as always, my own. Thanks so much for this bottle. 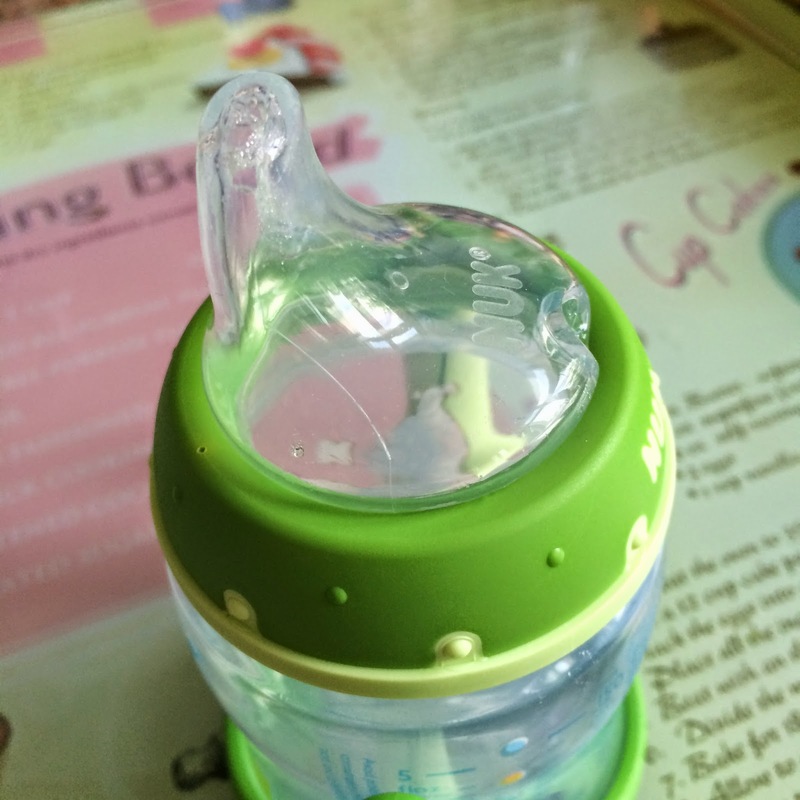 One thing that separates this kind of bottle from the rest is that it is usable for preemies as well as well grown babies unlike others that are just for colic, gas or other specific baby feeding problems.